Last year I waited until the last minute to post my predictions for the 2014 season and ended up guessing 8 of the 10 playoff teams correctly. It was total luck but it also meant I didn’t sit around and hem and haw about what I thought would happen. I went with my gut and it was pretty darn close. So this year will be another short version for predictions. If anything, it will be fun in 6 months to come back here and see how far off I was. Without further ado, here are my 2015 predictions. If there was a division I would feel comfortable just flipping a coin to guess who would win, this would be it. No team stands out more than another and all have their flaws coming into this season. Baltimore had more subtraction than addition this winter, Boston has pitching questions, Tampa’s offense is meager to say the least, New York is old and Toronto has been bit by the injury bug. If in 6 months we come back here and the standings are completely flipped I wouldn’t be shocked. 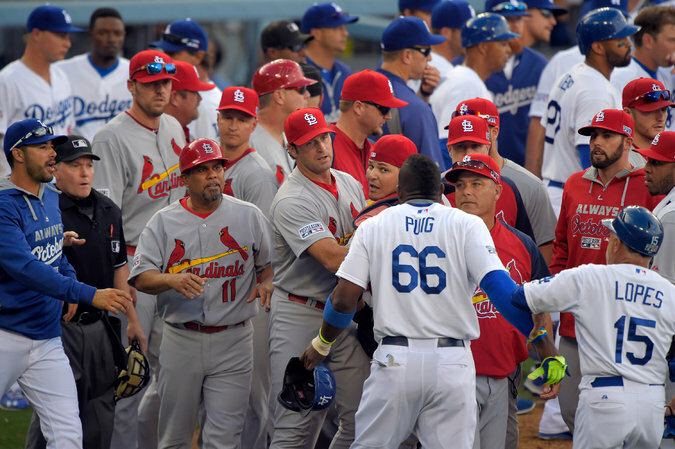 What was once a powerhouse division in the American League might now be the weakest. This is always the hardest division for me to pick, as I am heavily biased being a Kansas City Royals fan. That being said I didn’t pick them last year to make the playoffs(oops!) and believe they will fall just short this year. I have a full preview up here if you are interested. This division got a lot better this offseason and I look for it to be a race with 4 teams being in contention for a large chunk of the season. Even Minnesota could be a pain to deal with, although I don’t see them holding up for the entire season. I’m giving Cleveland the nod here, as they were right there near the end of last year and have improved their team going into this season. No matter what, expect a dogfight here in the Central. Speaking of good divisions, you could throw the AL West in as one of the better divisions in baseball. 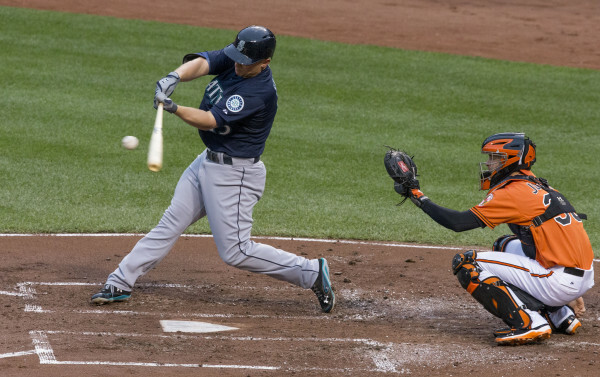 Seattle wasn’t eliminated from the playoff picture until the final weekend of the season and have added offense to their stellar pitching and solid defense. None of us have an idea what Oakland did this past offseason but I am not about to count them out and the Angels should be in the chase as well. The ‘surprise’ team of the American League could very well be Houston, as they’ve got a nice mix of veterans and youngsters that could be better sooner rather than later. All in all this looks like a division that could go down to the wire, unlike last year when Los Angeles ran away with the division. 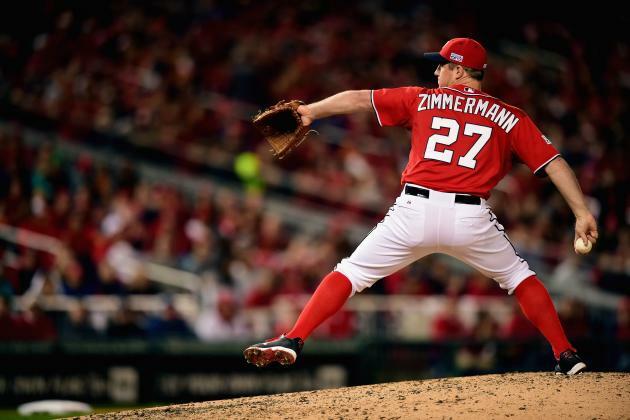 After acquiring Max Scherzer, it appears the Nationals have strengthened their rotation and made them almost a lock to win this division. 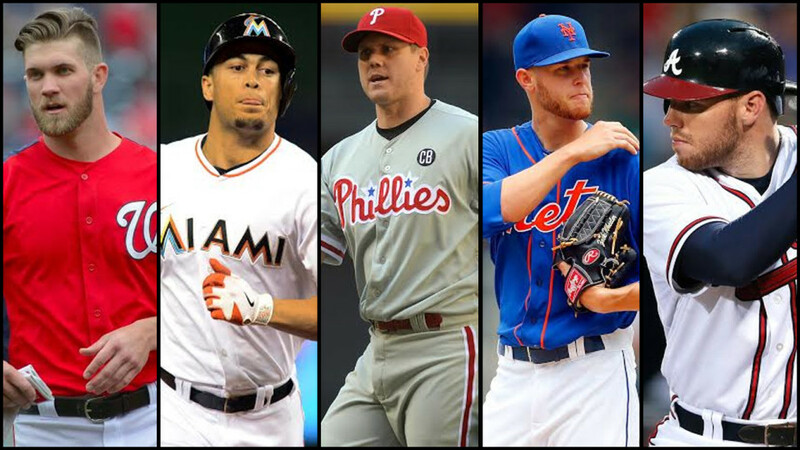 I will say I am highly intrigued to see how Miami does this year, as they have a great group of young talent and are looking to get Jose Fernandez back at some point this year as well. The Mets look as if they could contend as well, especially if Matt Harvey is as good as he has looked this spring. At this point, the Braves and Phillies will round out the bottom of the East, and have a chance of having very forgettable seasons, unfortunately. 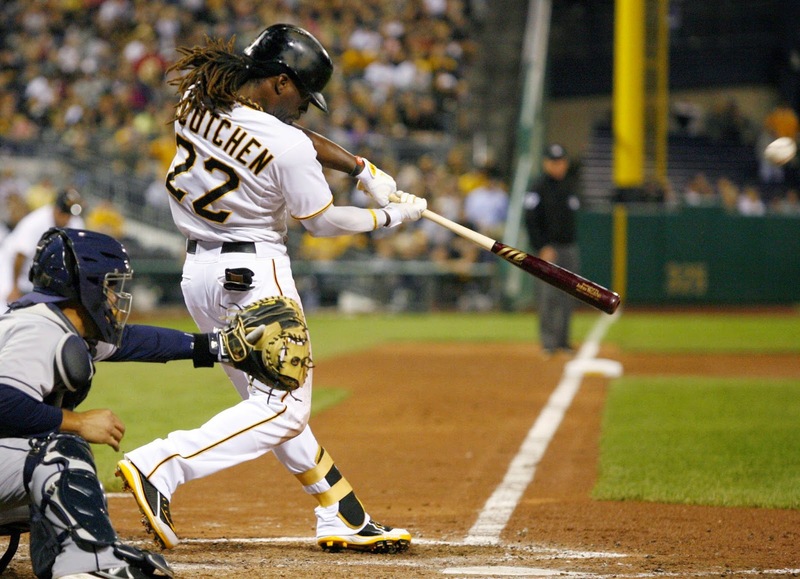 This might finally be the year Pittsburgh wins the division and doesn’t have to endure another Wild Card game. 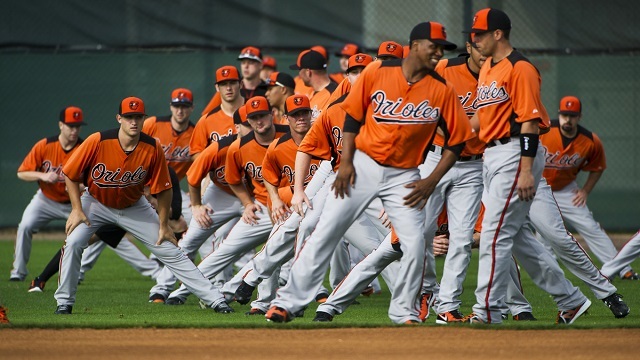 The amount of young talent on this team makes it really hard not too root for them. 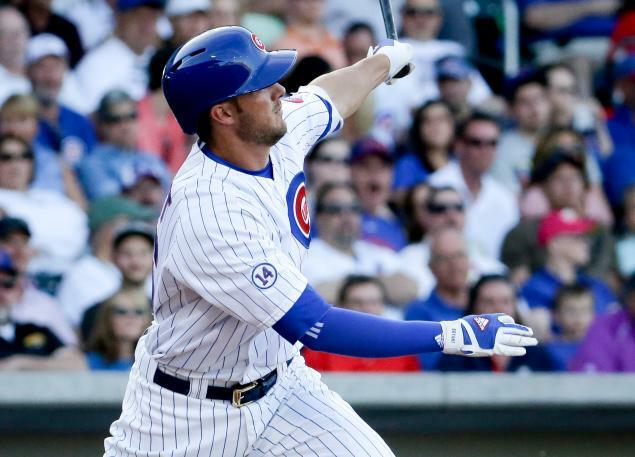 The Cardinals are still a force and the Cubs should be in contention this year, although I would expect 2016 to be the year Chicago management is eyeing as a better chance to be in the playoff hunt. Neither the Reds nor the Brewers are bad teams, but they aren’t at the level of the other 3 teams in the division. Like the American League Central, their National League counterparts should have another division fight on their hands here. 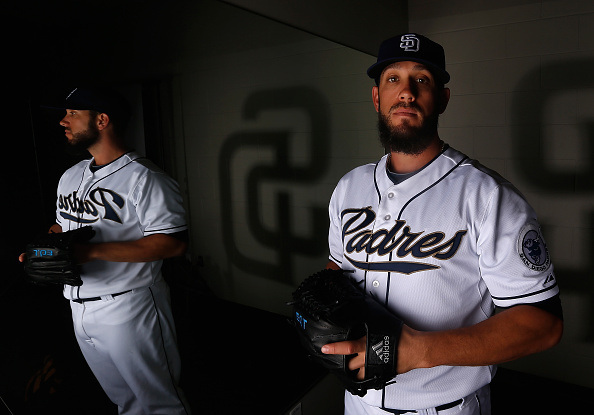 This could be the year for the Padres, as they added some offense to their already good pitching. San Diego’s outfield defense could be questionable, although they also have more than enough defense on the bench to make up for it late in games. The Dodgers will be right there with the Padres, although I’m not for sure what they will get from new shortstop Jimmy Rollins. Arizona, Colorado and San Francisco all look to be on the outside looking in, although I like the D-Backs younger talent and think they could be a bigger pain than many think. Less than thirty games remain in this 2013 season, and the Kansas City Royals are on pace for their first winning season since 2003. For most organizations, that isn’t considered a big deal, but in Kansas City it’s big. Coming into the season there was a lot of hope with equal parts criticism(myself included), and at some points in the year the Royals have looked like a playoff team. It seems highly doubtful that will happen this year, but 2014 seems reasonable for a playoff push. Whichever way you look at it, there has been improvement with the Royals, and as fans we can walk away with some positives from the 2013 season. With that in mind, here are five positives that the Royals will bring into next year and hopefully help set the foundation for a contender. See, I CAN be positive! Hard to imagine these guys not being taken seriously, right? 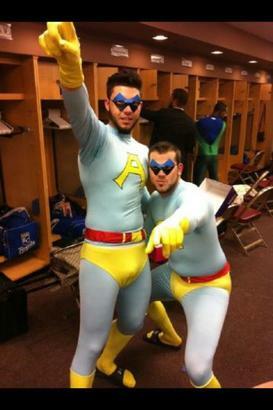 The work with Hosmer showed immediately, as he started hitting not only to right field, but to right field with power! Moustakas has gone from a .215 hitter in the first half of the season to a .299 hitter in the second half. I’m a little bit weary to say they are both fixed(although I feel a LOT safer saying that about Hosmer), but it sure appears as if whatever was ailing them earlier this year is now gone. 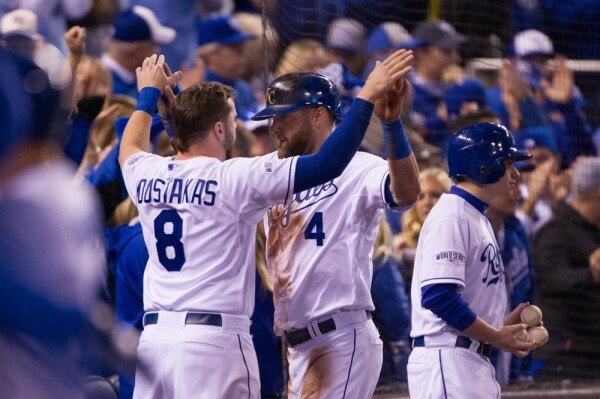 You hate to pin success on a team on one or two players, but as these two go, so go the Royals. 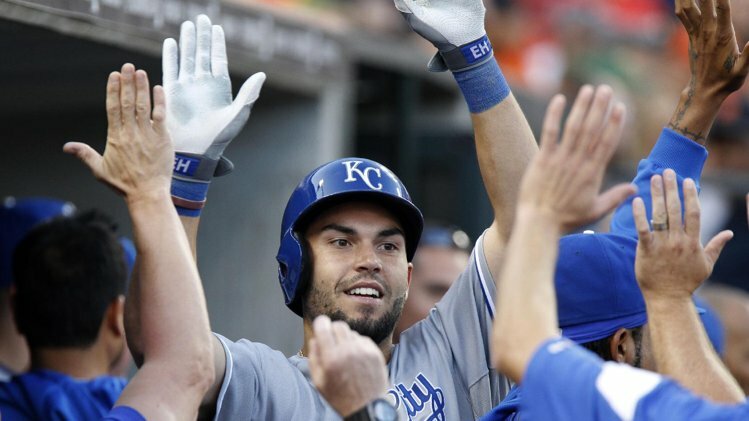 The offense at times has really lagged for Kansas City this year, and there are still concerns that this is a very streaky Royals team, but if Hos and Moose can be more consistent then we should also expect more consistency from the entire offense. If anything, it has been nice to see these two climb out of their early season slumps and show the promise they once had when they first arrived in the majors. 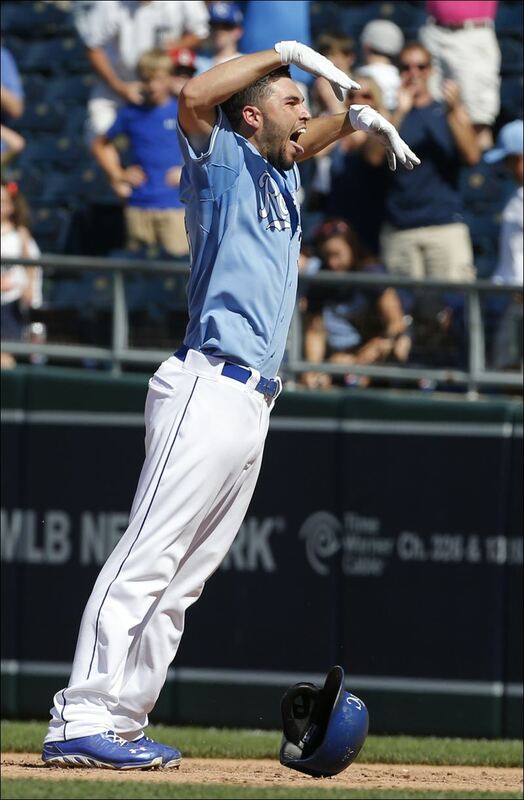 But for the Royals to jump into that next level, they need them to do this on a consistent basis. 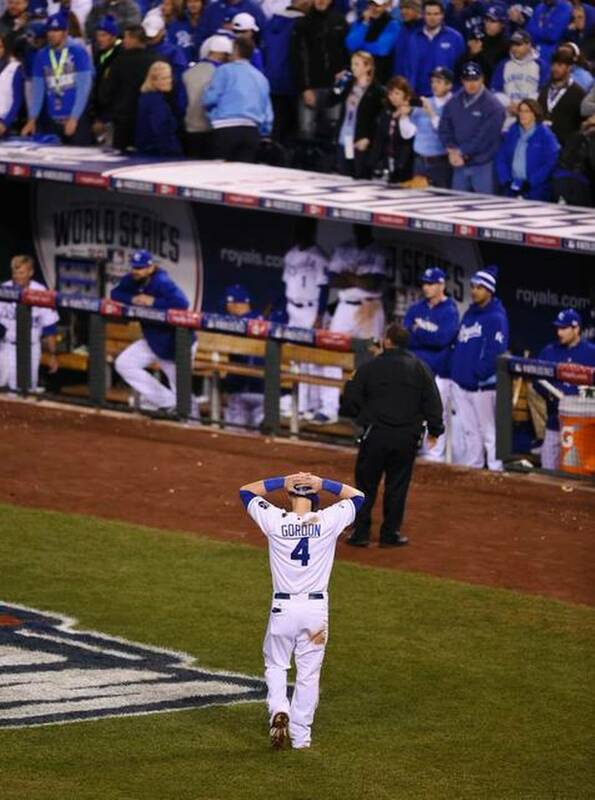 We all knew going into this season that the Royals starting pitching was going to be better than 2012. That seemed pretty obvious, as it couldn’t have been much worse than it had been. Actually, after 2012 it almost would have been an improvement to trot out the cotton candy vendor, the ticket lady, Ned Yost’s Grandma, and the ghost of Hiram Davies(he is dead, correct?). So the shock this season wasn’t that the rotation was improved, it was just how much it was improved. The Royals went from having one of the worst rotations in baseball(that could barely get through 5 innings each start) to one that was clearly one of the best in the sport. James Shields immediately took the reigns of leader of the staff, and has shown that on the mound this year, despite his record(Kill the Win? Indeed). Jeremy Guthrie had a wonderful first half, and while he has come back down to earth here in the second half, he has still been a very serviceable starter. The big surprise has been Ervin Santana, who few of us thought was even going to be an average pitcher. Santana has exceeded expectations, lowering his home run rate and allowing his wonderful infield defense to take care of things for him. It’s possible the Santana trade could be Dayton Moore’s best trade to date, and one that could continue to benefit Kansas City. Santana is a free agent at the end of the season, and his value has skyrocketed this season, even for the team he seems to love now. 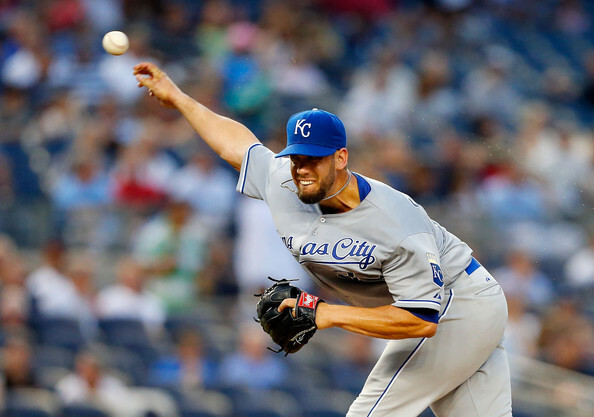 The Royals might be able to re-sign him, but if they do it will be at a hefty price. Throw in the occasional Wade Davis start(or my new name for him, Hiram Davies III), a splendid second half by Bruce Chen(throwing a steady diet of slop, courtesy of Chuck Samples), and the return of Danny Duffy and you have a rotation fighting with Texas over the best ERA in the American League. Hopefully the team can keep most of this group intact and grow on it come 2014. 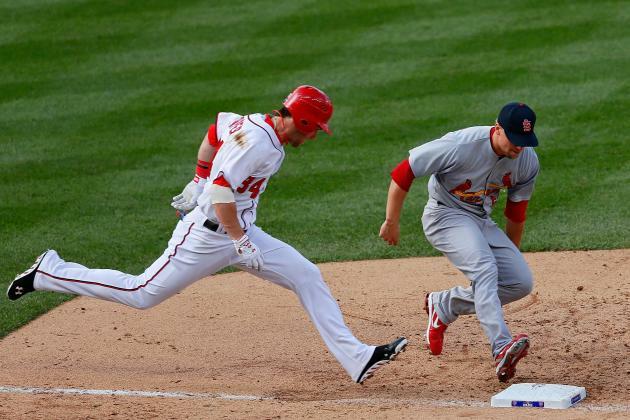 The biggest factor there is the ‘Defensive Runs Saved Above Avg.’. It’s obvious having such a good defense has made other facets of the Royals game(ahem, the pitching) even better than originally thought. I personally believe that Cain has been a big part of this, as when he went down with his most recent injury the team seemed to shuffle. Having his glove, and the ground he covers, on the field every day has been a major boom for Kansas City and has helped those defensive numbers a lot. For the Royals to continue their success in 2014, they need the defense to continue to put up these kind of numbers. 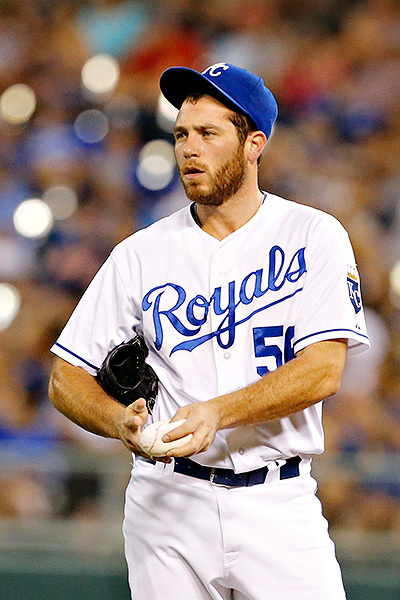 The last couple years, Greg Holland has been one of the Royals top relievers. 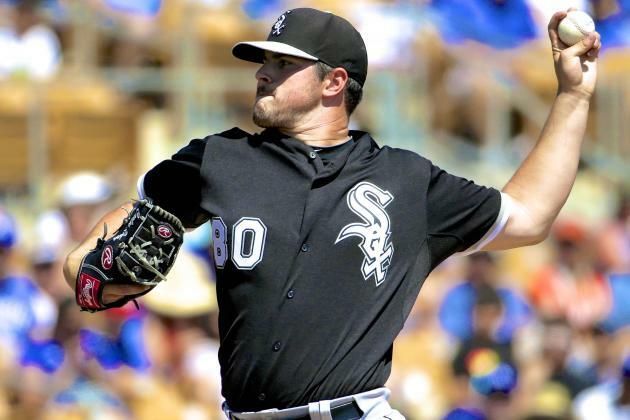 His 2011 season was phenomenal, as he proved he deserved a shot at closing for the team once Joakim Soria left for greener pastures. It took the team trading away veteran Jonathan Broxton, but finally Holland was given closing duties late last year, and he stepped up again. Slide back to the first month of this season: Holland struggles and crazy Royals fans with pitchforks want Kelvin Herrera to take over the closers job after Holland’s early struggles. 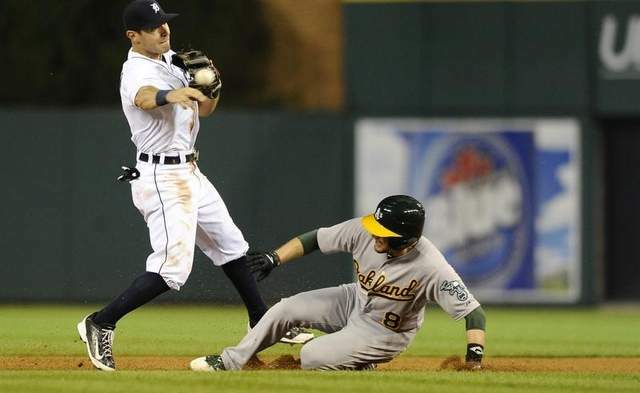 Before Thursday’s game against Seattle, Holland had given up only four runs since April. Four. Sure, Mariano Rivera is still the best. Aroldis Chapman consistently lights up the radar gun with triple digits, and Craig Kimbrel might be having the best season of a closer this year. But make no doubt about it, ‘Dirty South’ is right up there with him. Just look at his K/9 ratio: 13.8. 89 strikeouts, 14 walks this season. Insane. Holland is having a season that the only other Royals closers can even compare to are two guys named Quisenberry and Montgomery. Holland more than earned his All-Star nod this year, and the sad part is trading Holland might actually be the smart thing for Kansas City to do this year. But if he isn’t dealt, we can deal with having one of the best closers in the game. Whoops. My bad. I was just really excited after that shootout Sunday night. Whoops again. Spoilers. 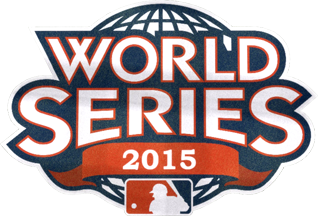 It’s September 9th as I write this, and the Royals are still in the Wild Card discussion in the American League. I know, I didn’t expect that. 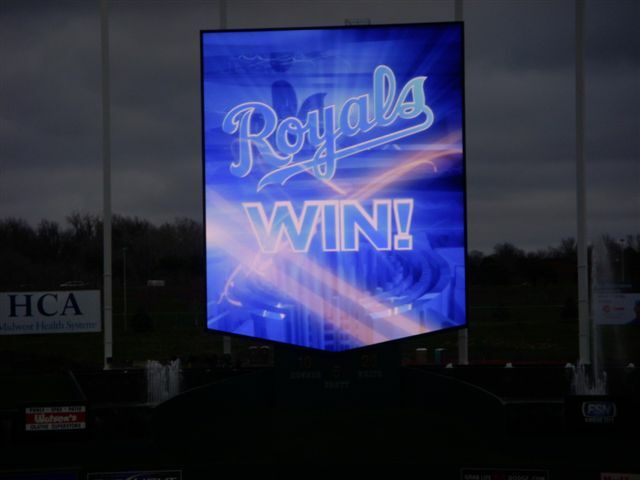 But it’s nice, real nice to see the Royals go out there and compete every night and feel like they can win the game. We’ve all watched some real lousy baseball over the years(and some in spurts this year) but to see a team in playoff contention this late in the season is splendid. Wonderful. It makes me happy and puts a smile on my face. This is all we’ve wanted, guys. We just want to win and know we can be in the same discussion as the other teams making October plans. Early on this year I didn’t see them playing good enough to be in the conversation, but it’s happening. Soak it up, Royals fans. We could definitely get used to this! Hopefully in a year from now, this list is twice as long. Hopefully we are still talking playoffs, and hopefully it is Division title talk. This team has grown as a group since the early parts of the year and have really earned the spot they are at right now. 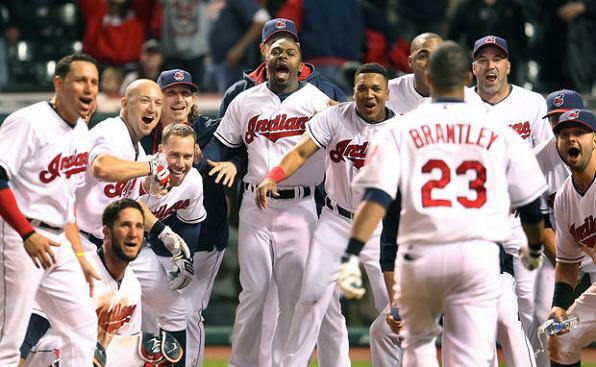 It’s so much nicer talking about positive baseball than all the bad things that can develop during a season. Hopefully in a year, we can retire the term ‘Yosted’ and ‘Royalling’…because winning makes all those things go away.